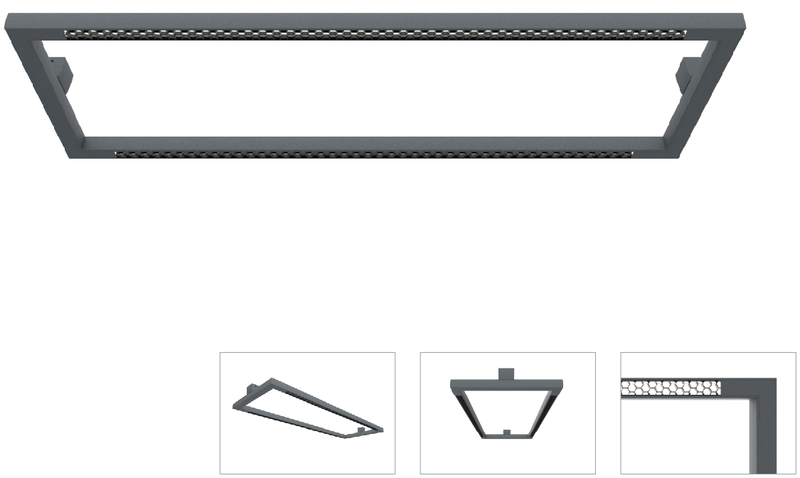 901A series ceiling surface mounted linear LED luminaire, housing made of high pressure extruded aluminum construction, die-cast aluminum end caps with no visible screws, Surface treatment is the sand oxidation and Flame retardant PC honeycomb grille mask，UV and corrosion resistance, with beautiful appearance, the scientific proportion and reasonable dimensions, flexible installing methods, light body, excellent heat dissipation. The luminarie combined with the concept of indirect/direct lighting distributions, applying anti-glare diffuser and double transmission principle of secondary reflection, Flame-retardant PC honeycomb grille, without visible dark spot or light gaps in seamless continuous lighting system. Advanced thermal management technology to ensure consistency of LED life span, color temperature and maximize output lumens.